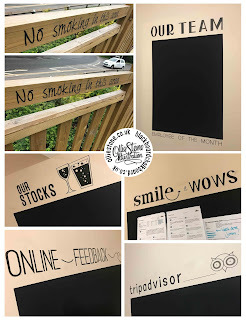 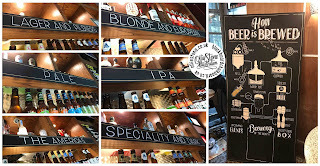 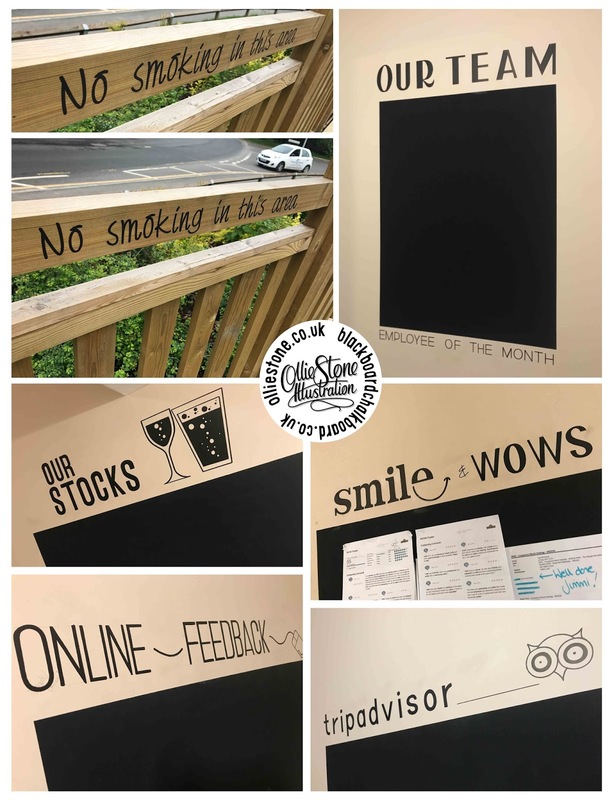 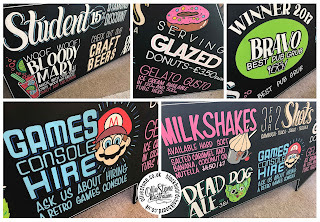 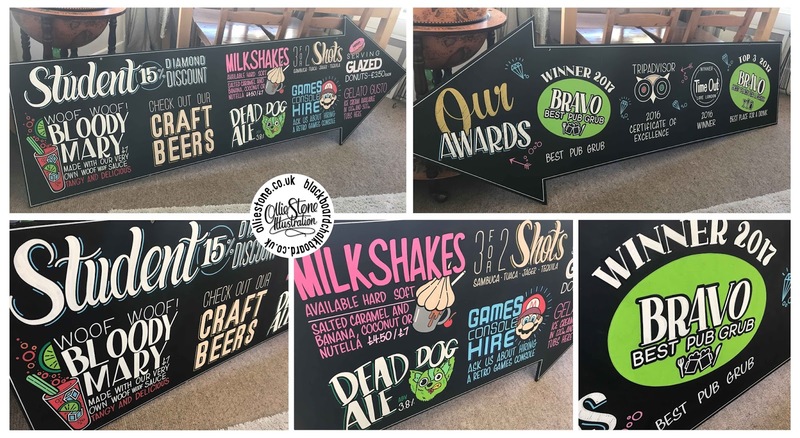 Murals, chalkboards, signage and wall art. 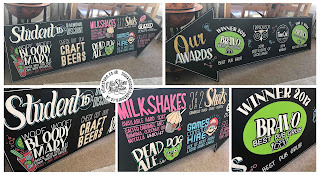 Signage for The Conquerors March, Hastings. 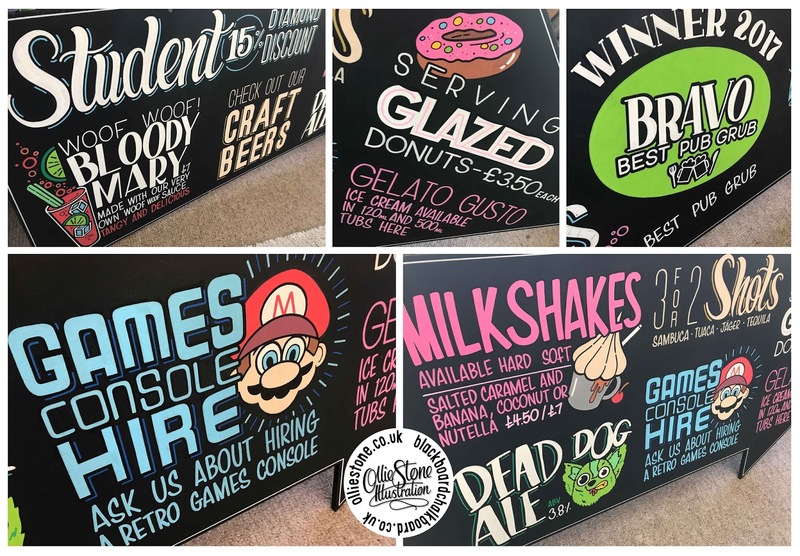 Signage for High Sports, Brighton. Signage for The Joker, Brighton. 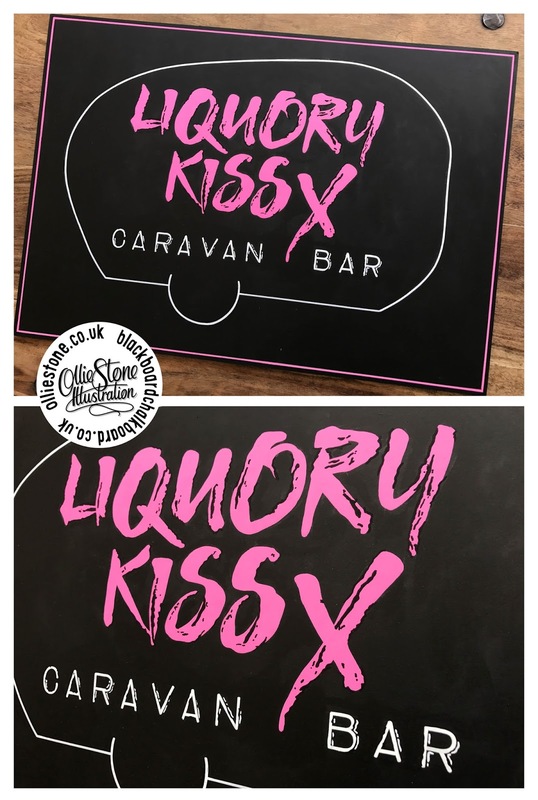 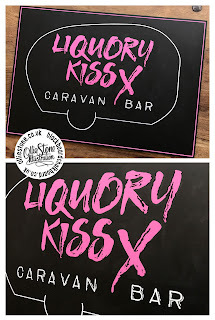 Signage for Liquory Kiss, Brighton. 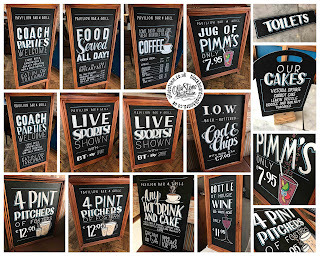 Signage for The Pav Tav, Brighton. 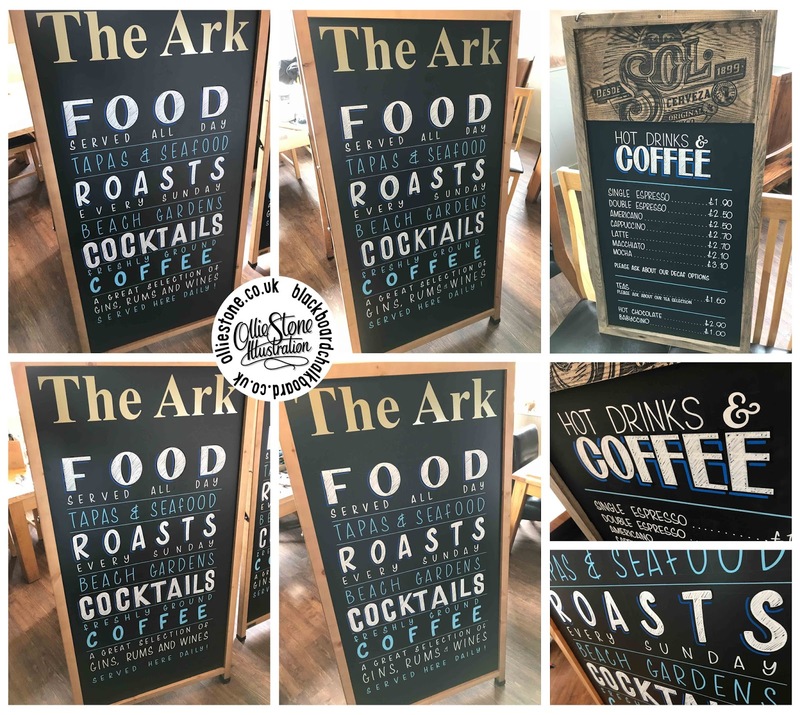 Signage for Ryde SuperBowl, Isle of Wight. 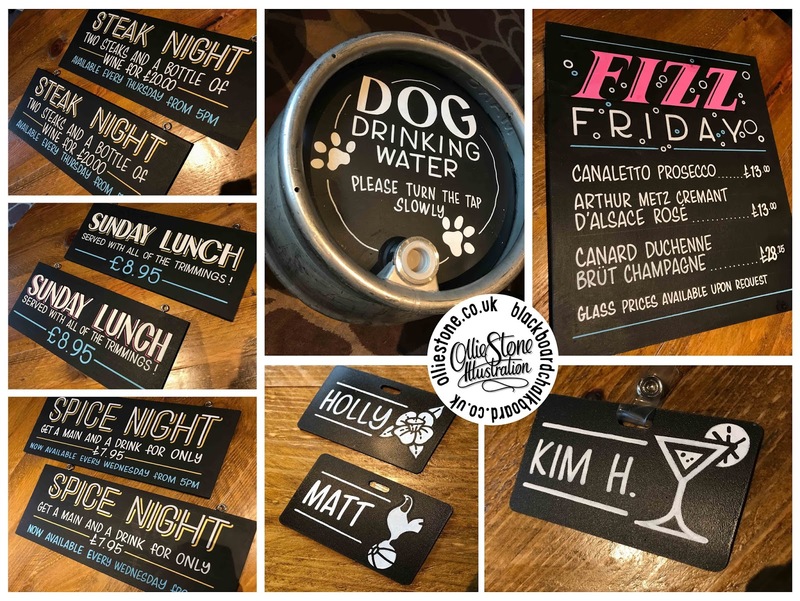 Signage for The Connaught, Brighton. 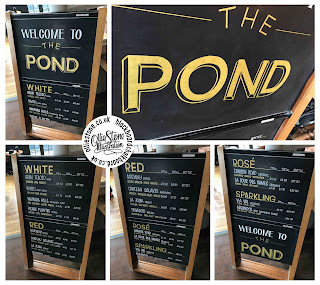 Signage for The Pond, Brighton. 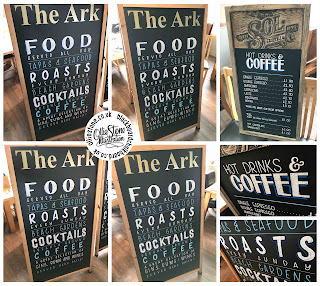 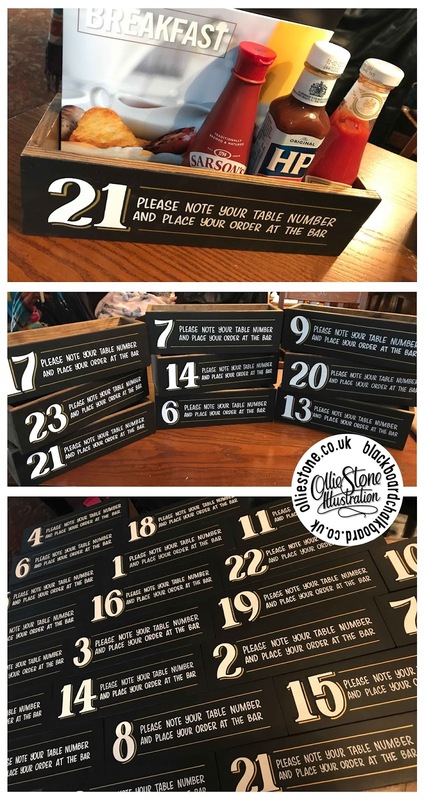 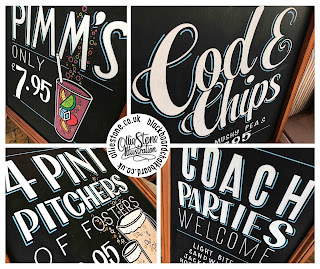 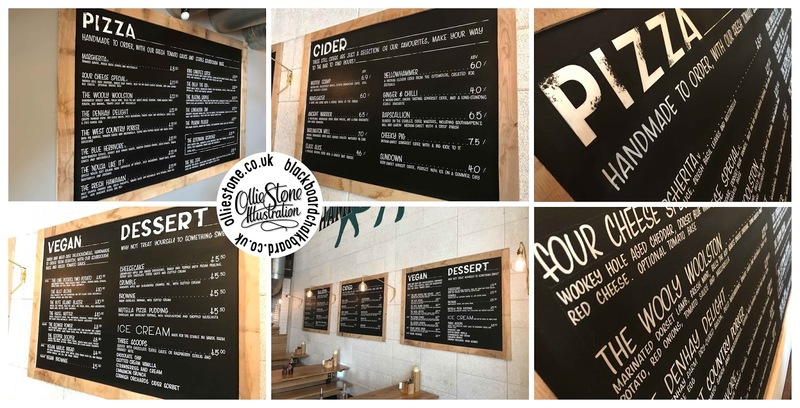 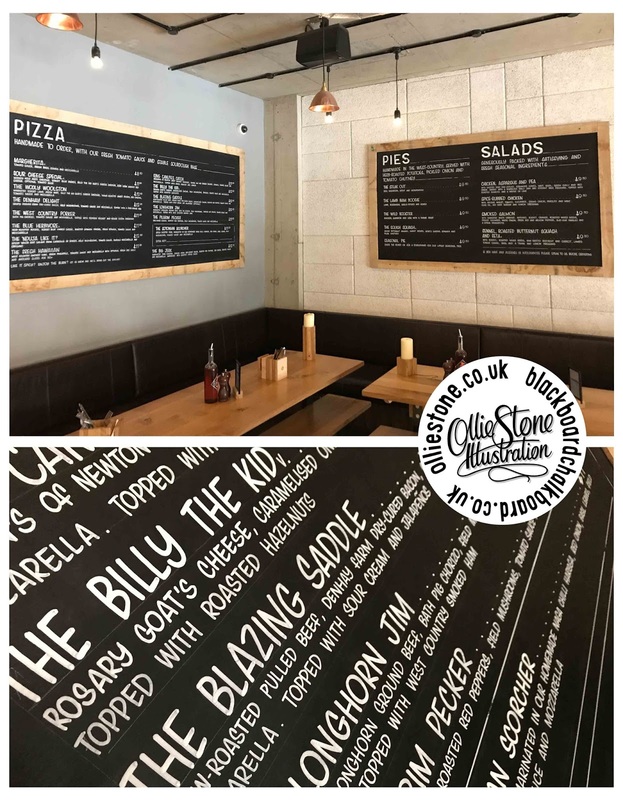 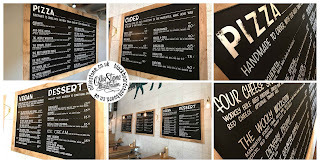 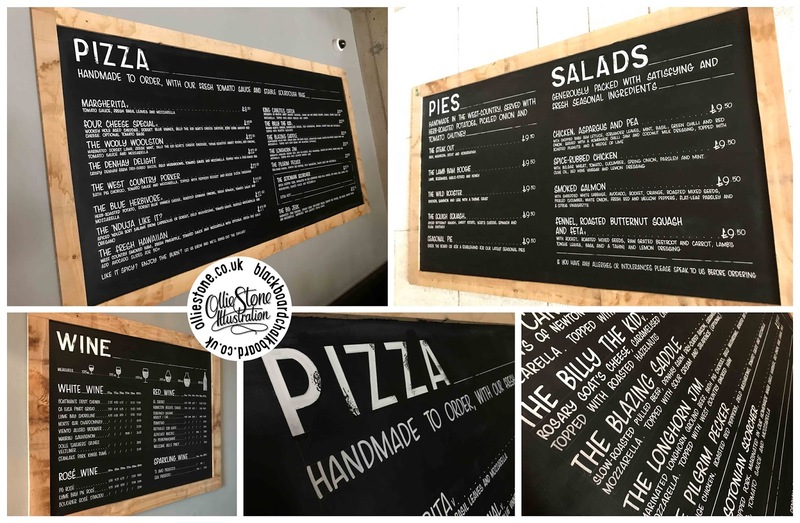 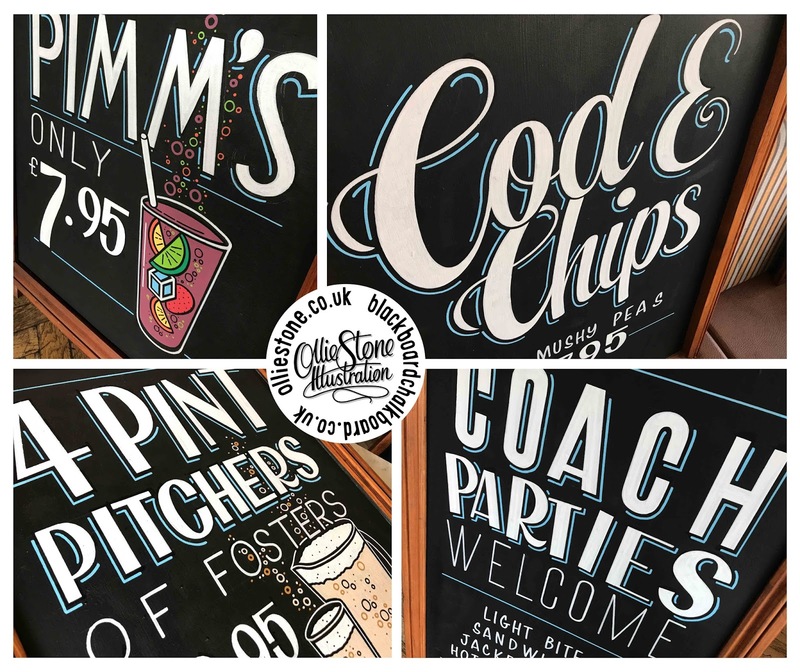 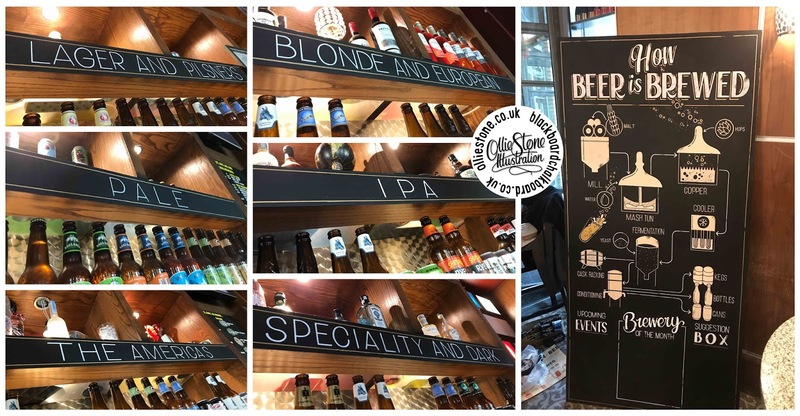 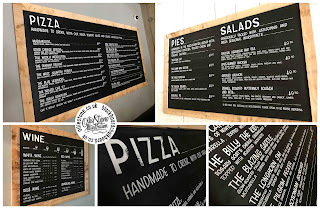 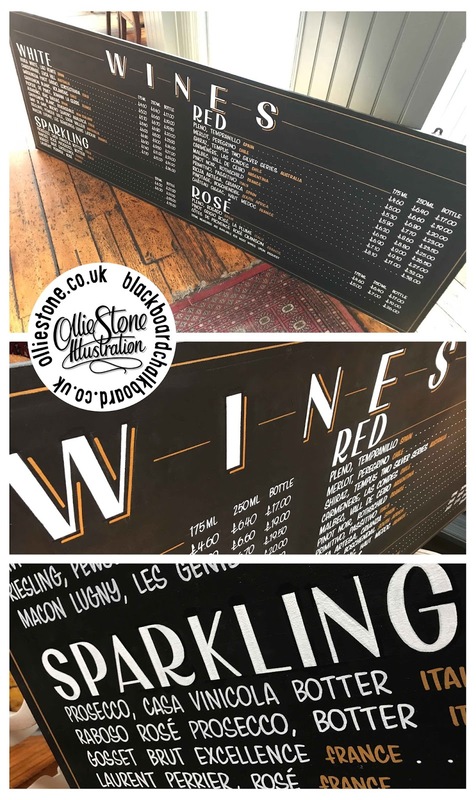 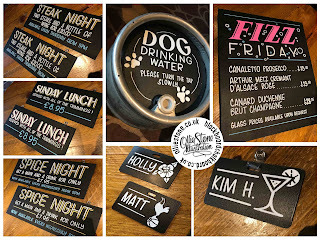 Hand-painted chalkboards and bespoke signage. 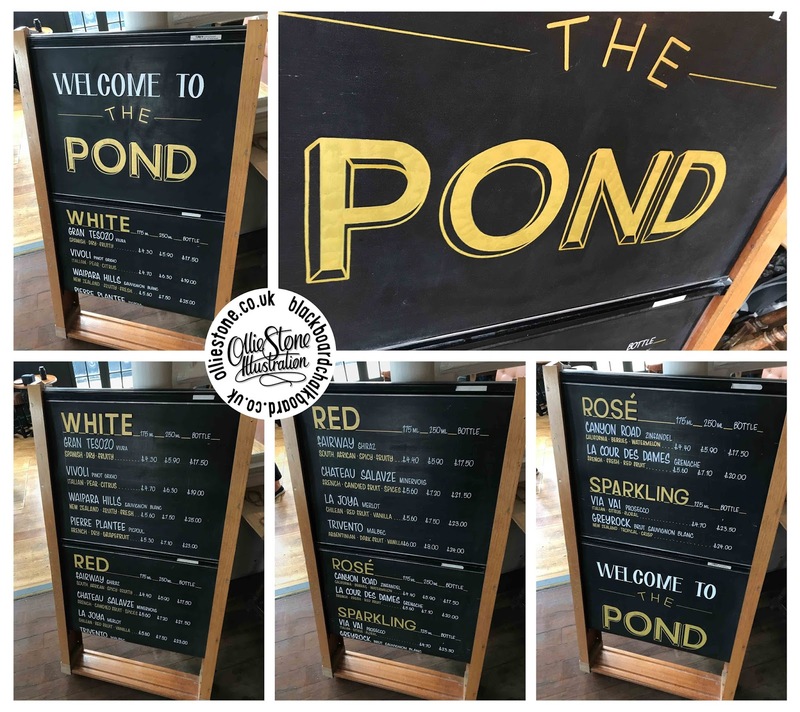 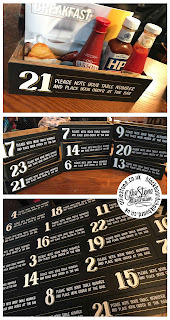 Signage for The Angel, Basingstoke.